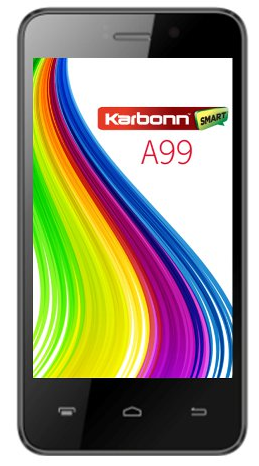 Two budget android phones from Karbonn, Karbonn A16 and Karbonn A99, have silently appeared for purchase on online retail site Saholic. These phones have been priced at Rs. 5,990 and Rs. 6190 respectively and bare similar specifications. Both of these phones sport a 4 Inch display with WVGA 480 x 800 pixel resolution which is fairly good for this display size. The phone also operates on Android 4.2 Jelly bean operating system which will give you optimum Android experience. The chipset specifications are similar to what we expect at this price range. Both of these phones will be powered by a 1.3 GHz dual core processor which is backed by 512 MB of standard RAM and 4 GB of internal memory. You can extend the internal storage to 32 GB using a MicroSD card. The primary camera is of 5 MP. The LED flash is not present which will affect low light performance. A secondary VGA camera is also present for Video calling. The camera specs are also same in both of these phones. Phones like Spice Stellar Glamour will also offer you with LED flash at the same price range. The battery capacity is where these phones basically differ. 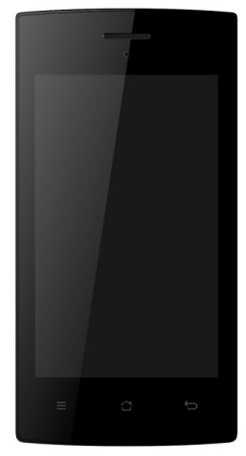 Karbonn A16 has a 1350 mAh battery and Karbonn A99 has slightly bigger 1400 mAh battery. Size and weight are not specified. Both of these phones have Dual SIM functionality and connectivity features include GPRS, EDGE, 3G, WiFi, Bluetooth with A2D, USB and GPS. With the lack of AGPS support GPS can be expected to be not as effective. Both of these phones are available in Black and White colors and you can buy them from Saholic at Rs. 5990 and Rs. 6190 respectively. Both of these phones are meant for first time android users and will suffice for basic usage including social networking, net surfing and moderate gaming. do you own the Spice Stellar Glamour Mi-436. which you have recommend to your readers. your glasses that this mobile does not have led flash . i called my self President of [U][S][A]. Thanks for pointing out, please dont be offensive while commenting, it could the case the specs are wrong as sometimes they can be wrong about a phone but that does not mean, that you comment about someone on a personal level on their profile info. Let me know where you saw this information on our website, we would love to correct this.